We've been struggling with math again here. More correctly, Amber has been struggling with even starting math this year. Let me give you a little history before I talk about our solution for this school year. In parochial school and for the first few years we homeschooled, Amber used Saxon Math exclusively. Amber was and is good at math. She does not require much instruction in order to comprehend the concepts. 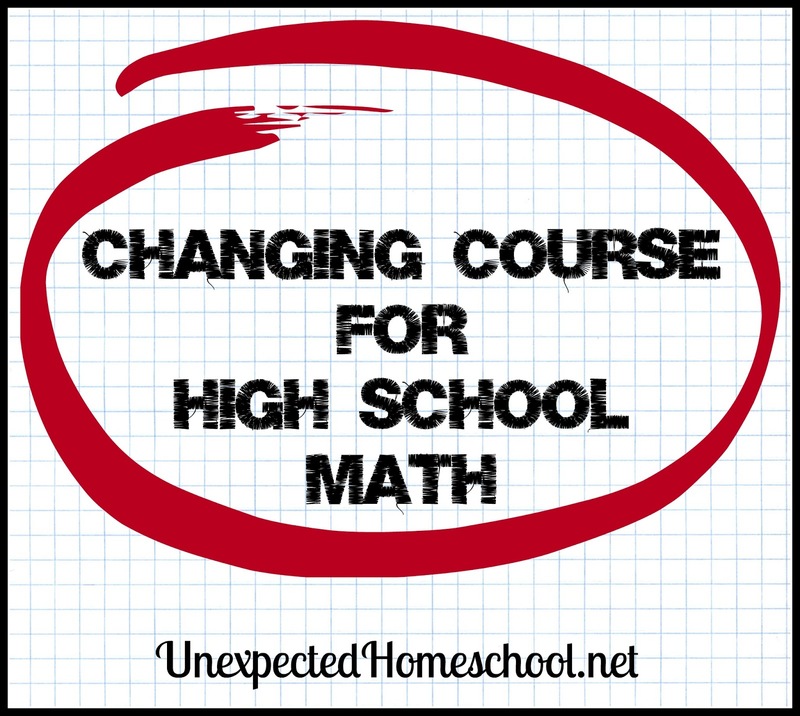 Though as the school years went on, she became more anxious over her math lessons. Amber is a perfectionist and couldn't handle missing any questions. Amber also has anxiety - this is rather an understatement. At any rate, in 7th grade during algebra 1 math started triggering her anxiety and resulted in panic attacks. Unfortunately, Amber's anxiety also starts flares in her dysautonomia, so we really need to avoid anxiety when possible. At the end of 7th grade we moved Amber to Life of Fred for math and she repeated algebra 1. While she still wasn't fond of math, Life of Fred alleviated most of her anxiety and she was able to move through the lessons without panic attacks. She continued on with Life of Fred Advanced Algebra (algebra 2) and finished it at the halfway mark of 9th grade. I expected her to move right into Life of Fred Geometry, but she just couldn't contemplate more math. I should have realized we had a problem at that point. However, I thought she was just burned out and decided that since Amber was so far ahead in math for her grade, that she could take a semester away from math. School suddenly went so much better when I offered her a break from math for a semester. Now we fast-forward to 10th grade and it's time to start geometry, only every time I bring up math she gets the wild look of terror in her eyes and starts the rapid breathing. The rest of 10th grade has been going fantastically, yet she cannot fathom starting math. She wants to be able to complete her math lessons, because she knows she needs math for graduation and college. She tries ever so hard, but simply cannot get past her math panic to even start a lesson. It's gotten to the point that she is having anxiety over her school days, fearing I might push her to do a math lesson. We can't go back to the daily panic attacks over math; it's just not healthy for her. Yet we can't spend all year hoping today might be the day she is able to do a math lesson. Fred and I talked it over after I researched alternate math options for students who will not be majoring in anything that requires math. Because Amber plans on starting at the community college and then transferring to a four year university to major in English (and / or languages), she only needs one credit of college math. With her current math abilities, she can pass college algebra and never take math again. This means what we really need is just a way for her to earn two more credits of high school math, knowing that I will probably review algebra 2 with her before she starts college / takes the college math placement tests. Looking at math from this angle has opened up our possibilities. This day she opted for three additional subjects in the time allotted for math. A consumer math course (full year)- which will incidentally fulfill her personal finance requirement too. Life of Fred Statistics - although it is listed as a college level, the book itself says you just need basic algebra in order to complete the class. This topic also might be more useful in life than geometry, at least for Amber. I discussed the situation with Amber, during which conversation she originally took a defensive stance because she so badly wants to complete the courses needed. I carefully explained this was not a negative conversation, but as her parents we want her to succeed and not deal with daily panic attacks. In light of that, I had an offer for her. Those few words set Amber at ease, and she was able to participate in the conversation in an objective way. We viewed samples of both types of math courses that we were considering as an alternative. Amber was actually rather interested in the consumer math and believes she will be able to complete it without any problem. Her dad and I agreed to allow her to try consumer math this school year, in lieu of the standard math progression. 10th Grade - Consumer Math. I've even ordered the BJU Consumer Math books already, and we plan to start as soon as they arrive. 11th grade - Geometry (a heartfelt attempt, like this year). We are not going to require that she take geometry, but we'd like her to consider it next school year after a year of what we hope is a positive math experience in 10th grade. 11th grade alternative - Life of Fred Statistics. If Amber still has not dealt with whatever is causing the anxiety over geometry, then we will go on with statistics and say goodbye the geometry. This plan will give Amber three full years of high school math. However since the plan no longer includes trigonometry / pre-calculus, she will need to count on spending at least the last semester of high school reviewing algebra 2 with me in preparation for college. Problem 1: A four year university will expect to see a different math progression. Our response: For a multitude of reasons, Amber plans to go straight to the community college and then transfer to a university at some point. She has not decided if she just wants enough hours to be a transfer student or if she wants the full associate's degree first. But that will really depend on how college goes. Problem 2: Although she has completed Algebra 2, the ACT / SAT math section would be easier if she completes geometry and trigonometry first. Our response: Amber does not intend to take the ACT or SAT since they are not needed for the community college. She also has a list of needed accommodations a mile long that none of us feel like dealing with for those tests. We'd rather focus on her education now and having those listed accommodations fulfilled at the college level, than fighting the College Board to receive them now on a test she doesn't need to take. Then there is the anxiety issue. Amber decided she didn't want to go to college if she had to take the ACT; her anxiety is that much of a driving factor. Her dad and I, being math people, are baffled by her aversion to math. However, she is an entirely different person from us and has strengths in other areas. We are hoping these changes will help her to have a more productive school year and reduce her anxiety back to a functional level. 3 credits. Offered fall and spring. Topics such as geometry, computing, algebra, number theory, history of mathematics, logic, probability, statistics, modeling and problem solving intended to give students insight into what mathematics is, what it attempts to accomplish and how mathematicians think. The instructor in a course like this knows that the students are anxious, and usually puts quite a bit of effort into relieving that. Students often write paragraphs to explain their reasoning rather than use symbolic mathematics. When I entered college, I was capable of doing math, but I disliked it. (I was majoring in German.) I took a course like the one described above. It was so exciting that I went on to take many more math courses and eventually earned a Ph.D. in mathematics. High school math classes are sometimes not very interesting, especially to girls, and don't usually require the types of creative thinking that real mathematicians do and enjoy. Best wishes for you and your family. 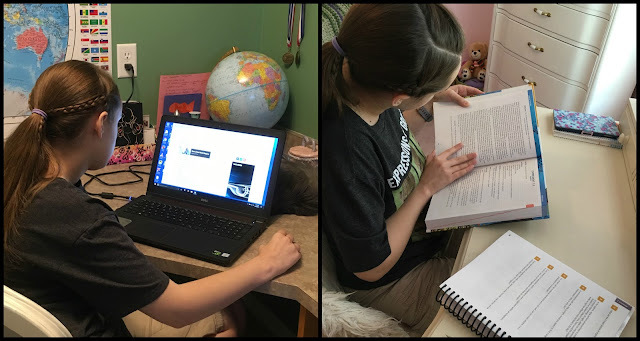 My grandson is homeschooled, too, so I always read your blog with interest and have learned a great deal from your posts. Thank you for taking the time for such an informative comment. I appreciate it. While I have a minor in applied math (by product of my college path), I am at a loss with Amber. Neither her dad or I had such issues. He's actually better in math than me and farther, but spread the courses out across undergrad and graduate school. I have been considering a high school course from Master Books that is basically a survey of science and includes mathematics as 1/4 of the course. Maybe I should consider it harder. I'll see what our community college offers too. At 15 years old, she does not meet their age criteria for dual enrollment unless she takes the ACT and achieves an acceptable score. But that is a great option for 11th or maybe a better option for 12th grade. Thanks again. It is more to think on.